Cornerbacks are always in high demand come draft night, and this year the 2018 draft will be no exception. One player that likely won’t last long is that of Ohio State Buckeyes CB Denzel Ward, a player who is quickly climbing the charts. Ward is coming off a tremendous combine, and is known by many as the top CB in this year’s draft class. Here’s our official look at Ward and what he’ll bring to the table to the lucky team that grabs him this year in round one. 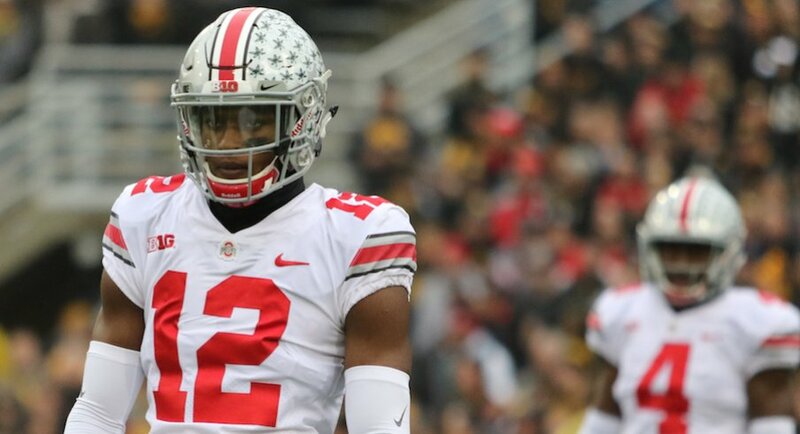 OSU cornerbacks coach Kerry Coombs told reporters last spring that Ward was a “gifted player” and truly a “third starter” at cornerback, joining 2017 first-round picks Marshon Lattimore and Gareon Conley. Ward proved his coach correct, earning first-team All-American and all-conference accolades in 2017 with 37 tackles, two for loss, two interceptions, and 15 pass breakups (ranked in the top 10 in the nation). He earned honorable mention All-Big Ten notice from league media as a non-starter in 2016, playing 30 snaps a game on defense. Ward tied Lattimore for the team lead with nine pass breakups on the year (23 tackles), never giving up on a play and being quite physical despite his average size for the position. Ward got onto the field as a true freshman, making seven tackles, primarily on special teams. Ward was a first-team All-Ohio pick and Division II Co-Defensive Player of the Year as a high school senior (nine interceptions, 18 pass breakups). He also qualified for the state track meet as a long jumper and part of the 4×400 relay. Strengths Supreme athletic ability. Expected to be impressive Combine tester. Can park in a deep squat under wide receiver’s chin at the line. Patient from press showing no panic or hurry in initial movements. Can pedal and mirror for a long time without opening hips. Tremendously gifted footwork. Mirrors and matches with good balance throughout the route. Matches changing route speed stride for stride. Plays from low side of route to take away comebacks. Uses big burst for recovery and closeouts. Carries true long speed down the field. Reads clues from off-man. Reads slants and drives in front of the route in search of an interception. Allowed just over 32 percent completions over last two years. Ballhawk with sudden hands to attack the throw. Bats throws down and will swirl arms around the catch point to prevent target from finishing the catch. Frame is somewhat slight and he feels small in coverage at times. Lacks play strength to jam and disrupt. Appears to avoid route contact so he doesn’t upset coverage balance. Physical receivers can body him around at the top of the route. Needs to turn and find football sooner with back to the ball. Always around the throw, but lack of size and length shows up with “just misses” in pass defense. Several pass breakups came on throws with poor placement. Coverage benefitted from deep, talented rush unit up front. 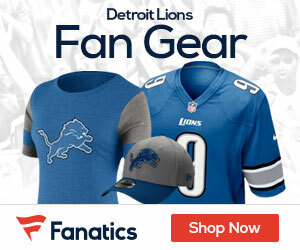 Has issues disengaging from big blocking receivers. Big backs drag him for a ride in run support. NFL Comparison Chris Harris Jr. The cocky cornerback was a monster in the Big 10 this year, racking up 15 pass deflections and a pick while completely locking down one half of the field. He’s electric, smart, and will be bonafide #1 CB in the NFL. Despite his lack of size, he’s a very physical corner and isn’t afraid to get his hands dirty. He should be one of the first 10 picks in the upcoming NFL draft, but the only question for Ward at this point is what team he’s going to dominate on. Player Comparison: Chris Harris Jr. In a class of top-end talented corners, Ward is a name to stash away. He continues the recent run of impressive Buckeye corners that have been early selections and offer a potentially lengthy NFL career. Although he isn’t a physical specimen and is underwhelming size intensifies battles with receivers with the build advantage, Ward is supremely athletic and technically savvy to a degree that unquestionably warrants a first round selection. He can operate on both sides of the field and in the slot, increasing his value when considering his skill set that can succeed from a number of different coverage schemes. Ward has what it takes to find success in the league for a number of years. Here’s the College Bio Page on Ward. “Quick-twitch athlete with explosive movements in any direction. Owns track speed with immediate acceleration to close gaps – the ‘fastest guy’ at Ohio State during the Urban Meyer era, according to OSU strength and conditioning coach Mikey Marotti. Sudden, but composed with swivel hips and velvet feet to stay in phase with elusive receivers.